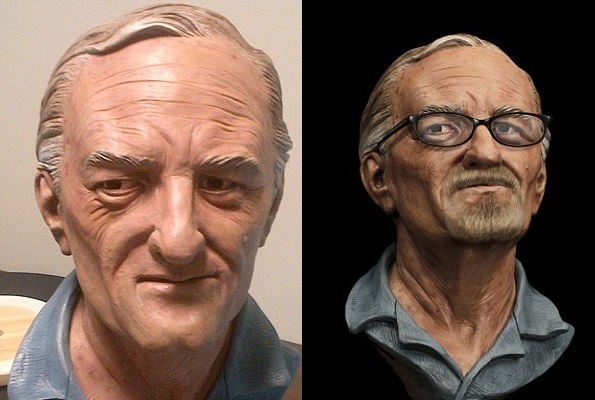 Facebook: FBI: Seeking William Bradford Bishop Jr.
Was ‘John Doe’ exhumed in Alabama on FBI’s Ten Most Wanted list? Hi, when I was a boy growing up in Kensington, MD. I played soccer. Brent Bishop was on my team. My parents never talked about these types of tradgedies (our teen neighbor Susie who got pregnant, 12 year old Tommy who died of a brain tumor, etc.). But I do remember a guy who was on our team arguing with a schoolmate of ours about it. I never really imagined it could have happened. Kids like me didn’t get killed. Now that I am going on 43… jeez I’m old, and I remember those days I can’t help but rejoice that I had that sheilded upbringing. The date of March 1976 seems odd to me. I “remember” it as happening earlier than that. But the most shocking thing to me is the fact that the Lyons sisters disappeared that same month one year before. And yet I was free to roam and play outside from 8 AM, lunch break at home, until dinner at 6 PM (do not be late!). Maybe these tradgedies were the real reason my parents would erupt if I was late for dinner. They never came out and told me. I thought they were just crazy loons. Why am I writing? I don’t know. I remember the father, Bradford. He came to some of the games and practices. I remeber his mouth. The way the ruts began from his nose to the corners of his mouth. I thought he must be a foreigner. I barely remember Brent. He didn’t go to my school like the other guys who I knew for years. I may have a team picture in a trunk somewhere. These two tradgedies: the Bishop murders and the Lyons sisters disappearance still bother me today. I like a neat and tidy life. It is a shock that both of these cases are still unresolved. They found John List didn’t they? Why is Bishop free to live his life? I just finished college at the University of South Florida. I took legal psychology and Death Penalty last year (psych major). I read a lot on the crime library web page (http://www.crimelibrary.com/index.html). Last night I read about fathers who kill their families. There were so many. It seems like a naturally occuring phenomenon. That is even more bothersome. Well, I just felt the need to “talk” about this case as it still bothers me. I would like to get more information about this guy. I saw him live when I was a kid. Maybe if we pass on the street someday he might finally face the justice system. On November 24, 2011 (Thanksgiving Day) my husband and I drove to the Croatan National Forest near Maysville, North Carolina, to walk off our Thanksgiving lunch. We drove several miles deep into the woods to a boat launch area where we encountered an old man sitting beside an RV. I was immediately creeped out by the man and we both got a bad vibe from him. In less than ten minutes we decided to go back to the car and get the heck out of there. We joked on the drive back out of the forest that the old man looked like someone you would see on America’s Most Wanted. Several days later I still couldn’t get that man’s face out of my mind so I just went to the AMW website and looked at pictures of fugitives that were at least 65 years old and older. Wow, my husband and I are 99% positive that it was William Bradford Bishop. After picking out his picture we read the story and became even more positive that it was him. He dumped the bodies and set them on fire less than 45 minutes drive from where we were. I called the US Marshal’s office and spoke with Mark Shealey the lead investigator and they were going to check it out. Haven’t heard anything back but if I do I will let you know.